If you haven't heard, between May 16th-17th, the European Maritime Day will be held here in Lisbon, home of EurOcean. The focus in 2019 will be on blue entrepreneurship, innovation and investment to transform traditional maritime sectors and boost emerging technologies and value chains. A specific focus will be put on research and innovation for a plastic-free ocean. The event will have breakout sessions, an exhibition area and stakeholder workshops (you can check the full programme here). Yolanda Schmal - Advisor North Sea Commission, Conference of Peripheral Maritime Regions of Europe (CPMR). 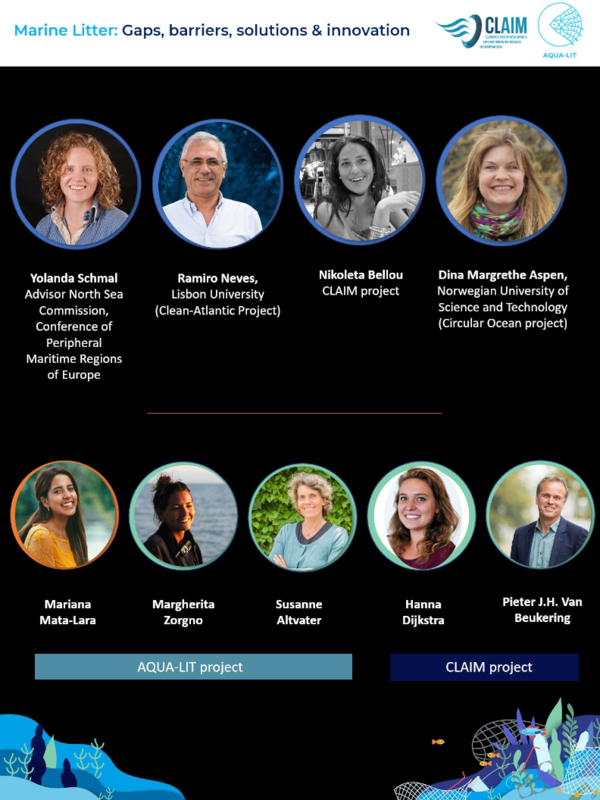 Ramiro Neves - Researcher and Professor (Clean-Atlantic Project), Lisbon University. Dina Margrethe Aspen - Research Scientist (Circular Ocean project), Norwegian University of Science and Technology. Dr. Nikoleta Bellou - Research Scientist (CLAIM project), Hellenic Centre for Marine Research. The second part will be an interactive and fun session together with the audicence to co-develop measures, solutions and potential business opportunities. If you are attending the EMD2019, then you cannot miss this workshop! Register now here.